With stunning Southern views of mountain, lake and golf, this wonderful home is situated in the heart of Toscana. Rustic Tuscan architecture is highlighted by cedar garage doors; an intimate courtyard with pavers features a firepit connecting the main home and the private guesthouse. Inside, the great room showcases the dramatic mountain views and offers many customizations including beautiful flooring, finely crafted built-ins and crown molding. The gourmet kitchen features richly finished cabinetry, a cooking grotto and unique granite. 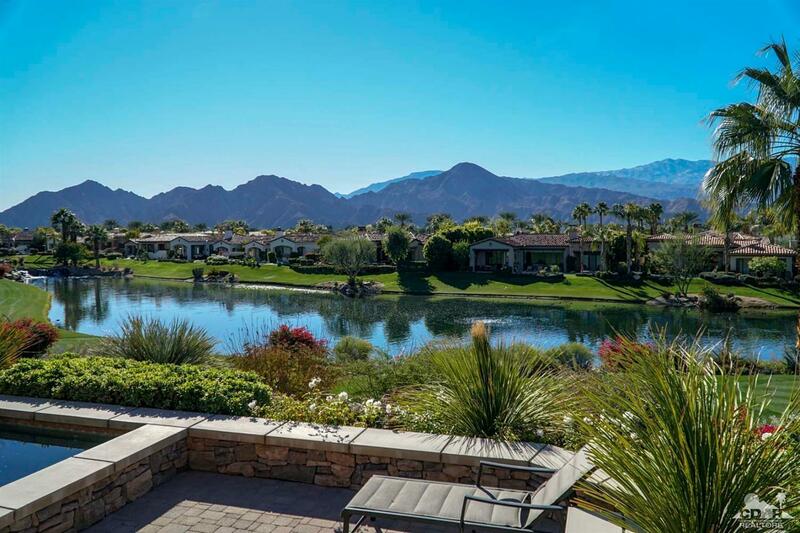 The outdoor entertaining pavilion overlooks the spectacular golf, lake and mountain views, and includes a custom pool and spa, covered verandas for dining and lounging, a built-in bbq and misting system. The master suite features a fireplace, separate patio adjacent to the spa and a luxurious master bathroom with custom stain glass inset over the soaking tub. The guesthouse includes a sitting room, bedroom and en-suite bathroom. Included in Sale: Furnished per inventory and exclusion list.